FTC disclosure: I received a free copy of this book from the publisher in exchange for a fair and honest review. The opinions are my own. Anyone who has been to church has been curious about the book of Revelation in the Bible. Growing up, I remember timelines across Sunday School classrooms that showed when the anti-Christ would make his appearance, when the Church would be raptured, and when Jesus would begin his 1,000 year reign on earth. I’ve heard sermons saying the Revelation of St. John was fulfilled in the first century. This apocalyptic book of the Bible has not only often remained an enigma, but is often requested to be taught on in Sunday School and Wednesday night Bible studies in Protestant churches. Many times doing so, materials are supplemented with recent newspaper articles. But think about the what ifs. What if we have it wrong? This is an interesting book because author, Dr. Scott Hahn, grew up Protestant and then became Catholic. He studied the book of Revelation as a scholar in both Christian traditions. Within this book, he puts forth his conclusions. . . Revelation is simply a Biblical telling of Mass. Not only does he give Scriptural support for this, he makes a strong argument. Will everyone agree with him? Absolutely not. Do I agree with him fully? No. Does that mean this book shouldn’t be read? By no means! 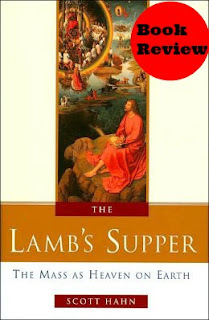 Anyone with an interest in end times should read this book for another perspective. Obviously written in the 1990s as it makes reference to the upcoming change of the millennium, this is one book that is still as relevant today as it was when it was published in 1999. This book will be relevant 30 years from now. How many books based out of Revelation can stand the test of time like this? Very few as most set a timetable for certain events to happen. This is a relatively short book, 163 pages, but that doesn’t mean it’s short on information. It was a book I kept looking forward to picking up and reading the next chapter both to see his interpretation as well as the fact Dr. Hahn is an interesting author who held my attention. This is well referenced, and I believe should be an addition to Protestant’s library who studies end times because he does have a unique idea of how the final book in the Bible should be read. I believe it should be a part of every Catholic’s library because I believe it will enrich your experience in Mass every week.